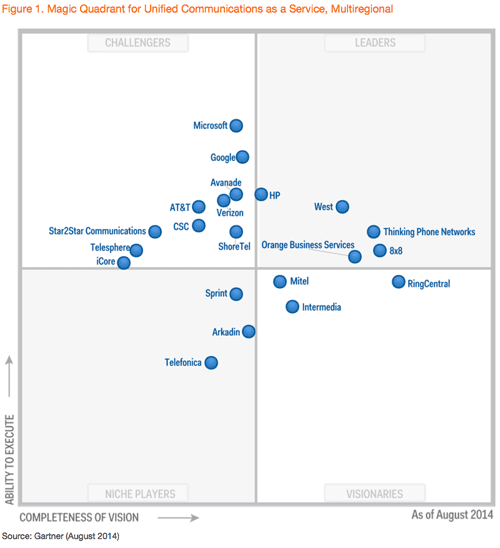 Gartner recognizes Intermedia in their 2014 Magic Quadrant for Unified Communications as a Service, Multiregional. What’s inside Intermedia’s UCaaS solution? For admins and partners, Intermedia makes it easy to provision and manage users and services. Using HostPilot®, our central control panel, they can share settings across every service and device to create tremendous cross-service efficiencies. Our UCaaS services are highly secure and fully mobile. Reason #1: Intermedia is a leader beyond UCaaS. Many other UCaaS providers focus solely on the unified communications space. But we’re a leader in multiple categories. We’re the largest independent provider of hosted Microsoft Exchange in the world. And we’re also one of the world’s largest Cloud PBX providers. This important because Unified Communications are just one element of your IT needs. Take SecuriSync, for example. This is our proprietary file sync and share service. It offers business-grade protection and Office and Outlook integration that’s unified with all our UCaaS services. Or consider AppID®, a single sign-on service designed specifically for small and medium-sized businesses. AppID improves security by simplifying the employee cloud experience, while reducing support calls and cutting down on wasted app licenses. This essential IT service is integrated into our Office in the Cloud for a unified user and admin experience that extends beyond communications and collaboration.